We could see them working hard and always smiling, because they are having so much fun. 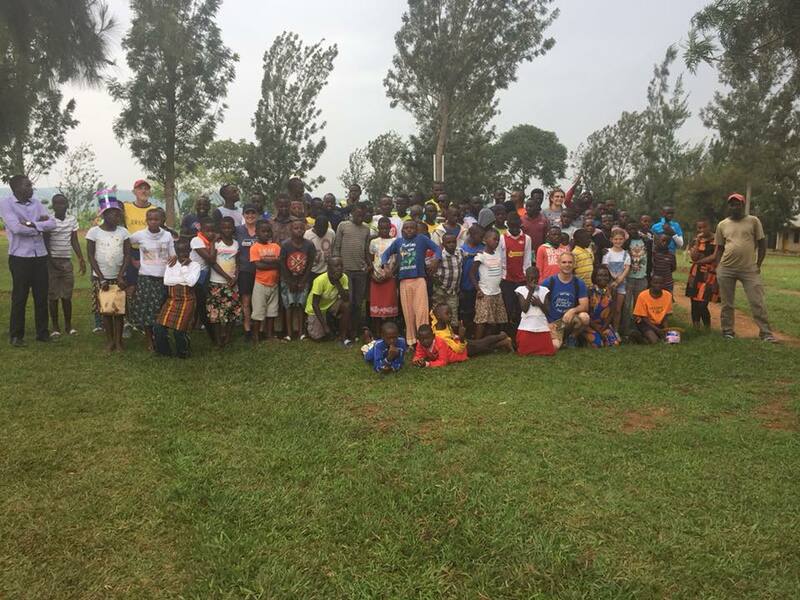 They continued having parties and sharing with many more young people in Rwanda. They had the party for all of the children in our At Risk program and their families (over a hundred children plus their parents!) They were entertained and blessed by singing and dancing put on by the children and parents also! Their agenda also included a trip to a center run by Rwanda Orphans Project (now known as Imizi Children’s Center) where they shared testimony, encouragement, soda and sambosa (handheld meat pies). They also visited a home for children from the now closed Noel Orphanage (a place we used to visit with our teams). Time was also made to be spent with our Rwandan staff and a little bit of down-time in between! We are so proud of the team, how hard they worked and all they were able to accomplish. Isn’t a mystery how you can leave a place with a full heart, even though you know you’re leaving a piece of your heart there? This is what happens to everyone who visits Rwanda with us. We would love for you to experience this with us next year.